The iconic colour way from Production Privee is back! But in a full squishy version! 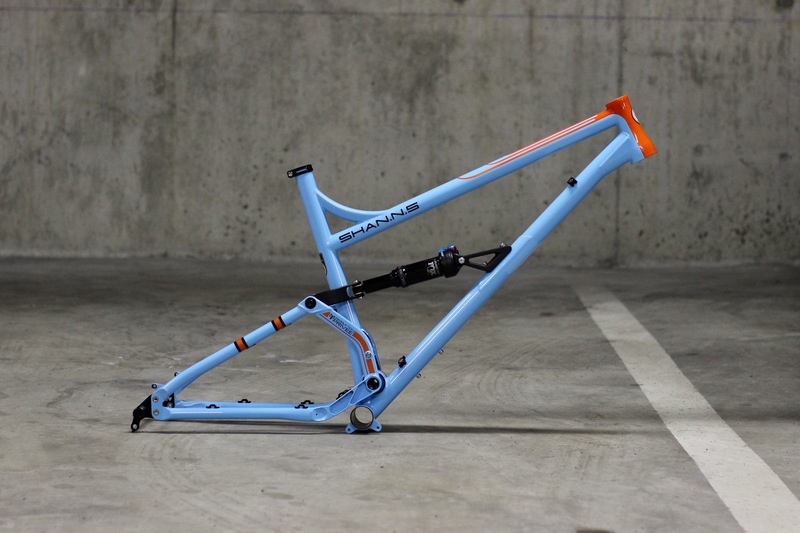 Production Privee Shan N5 Gulf 917 is a new colour way and limited to 58 frame world wide so if you like the look of whats below from the boys at Production Privee then get in contact ASAP! 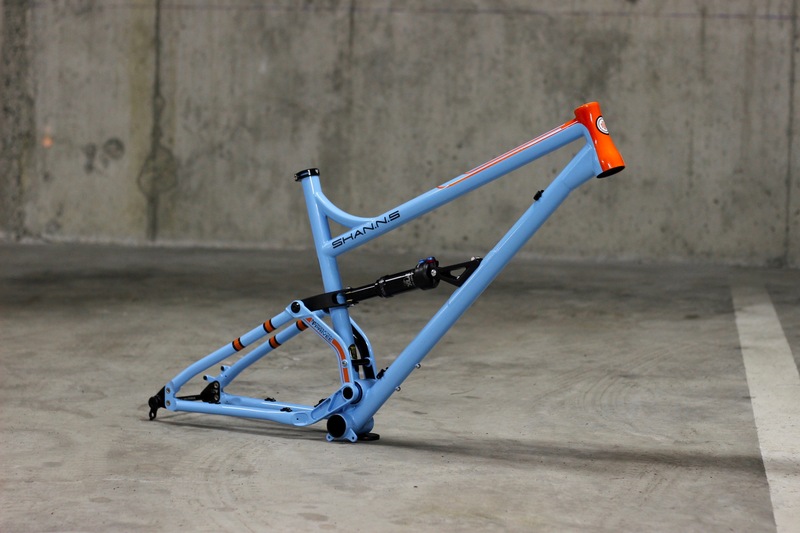 Production Privees Gulf Shan N5 will be available with an option of no shock, a Fox Float Evol DPS Performance series shock as pictured or a rolling Chassis fitted with CCDB air shock, Cane Creek Helm fork but these are to be confirmed. 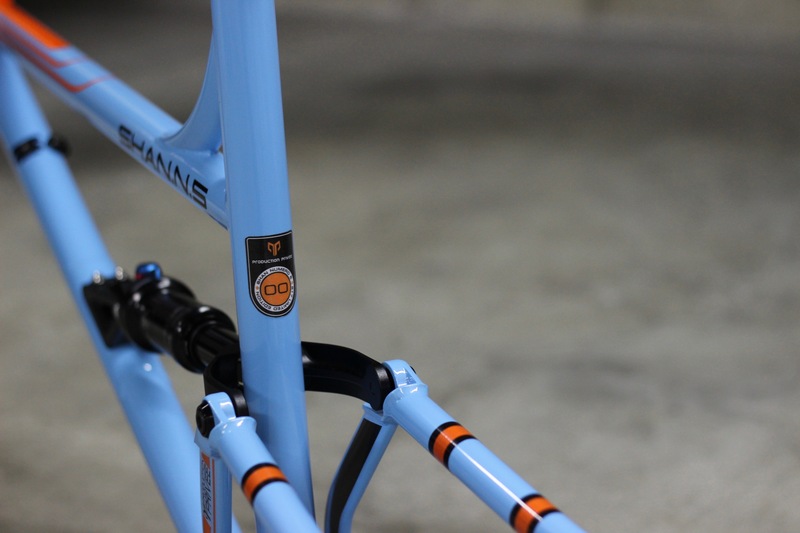 As they have done in the past with the Shan 917 hardtail. 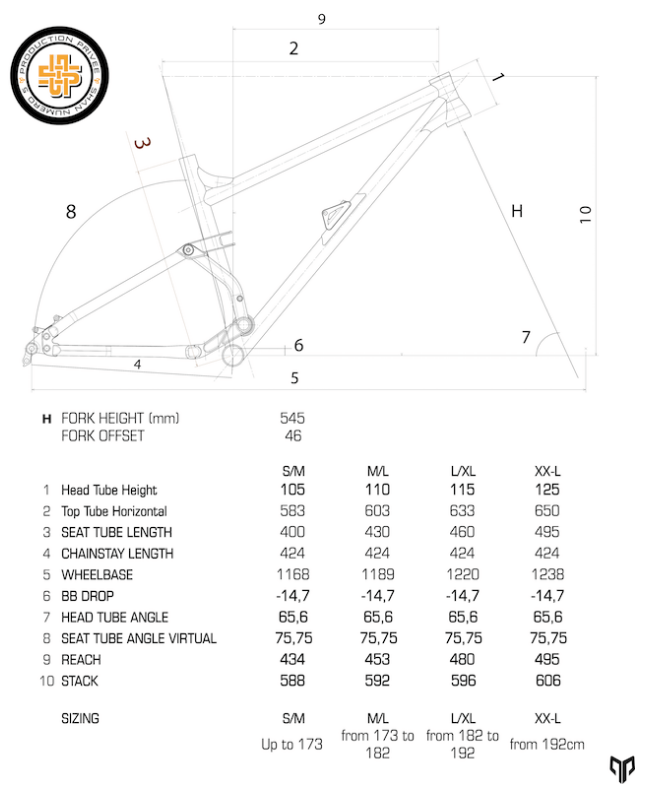 All frames will be numbered from 1-58 on the back of the seat tube due to the limited number of frames worldwide. The Gulf 917 wont be run again in the N5 so this will be your only chance to have a piece of the Gulf Colour way with a limited number in the Shan N5. We have been riding our Shan N5 Bahama yellow custom build since may last year. Racing, bikeparks, trips abroad and taking it back to its home in Andorra to tackle the madness and even a run down the World Cup track. The travel may not look much on paper but it certainly feels like you have an endless amount. I have never felt out of my depth while riding it. If you was wondering what a full build might look like then here you go. How rad does that look? Fitted a with a Cane Creek Double Barrel Air CS and Cance Creek Helm fork. Custom builds are available here at D&D Cycles so the world is your oyster! Geometry and sizing hasn’t changed from the previous Shan N5s but if you aren’t up to date with it then you can check it out below. If you need help with sizing then don’t hesitate to contact us either by phone on 01243 698689 or by email sales@ddcycles.co.uk. We have been a dealer of Production Privees for 5 years now so I like to think we know what we are talking about and hopefully make your life easier when purchasing as we ride these bikes ourselves. Pre-orders are now open for the Shan N5 917 and we have already taken orders before we even put them on our website. You can pre-order on our website HERE or if you dont feel comfortable doing that you can give us a call on 01243 698689 at the shop. The Shan N5 917 is due to arrive at the end of April start of May. This may differ a week or two. Any other info you would like to know please get in contact with us and have a chat.